Doing Something Nice “Just Because” - Mark on the front page of the Gisborne Herald. I was so proud of Mark today. 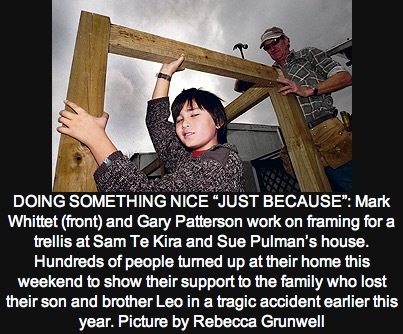 His photograph was on the front page of the Gisborne Herald for his contribution to helping the family of a bereaved friend.